In 2000, Pierre Supreme Elius, started La Renessence, after noticing that the streets were filled with children during the school day. After talking to the community he learned that there was no school in Cite Pope and they could not afford the fees that the schools outside of the city required. After trying but failing to get the support of various leaders, Pierre decided to start the school himself in a local church. With the help of the community an additional one-room building was constructed out of wood and coconut front panels to house the pre-schoolers. This year 96 students attend La Renessence -46 boys and 50 girls. Before Watering Minds delivered clean water to his students, Pierre used to get water out of this well. It was far from potable, but there was no choice but to give the children this water especially on the hottest days. Then Ovive, sponsored by Watering Mind, came to the community and started providing free water to his school. “This was a deliverance. It is better not to eat than it is to go without a drop of clean water,” said Elius. He now teaches the children a hygiene class discussing the importance of clean water. Antoine Eleoim is a 7th grader at the Ministere de Jesus Christ school and this is what she told us about the importance of clean water. 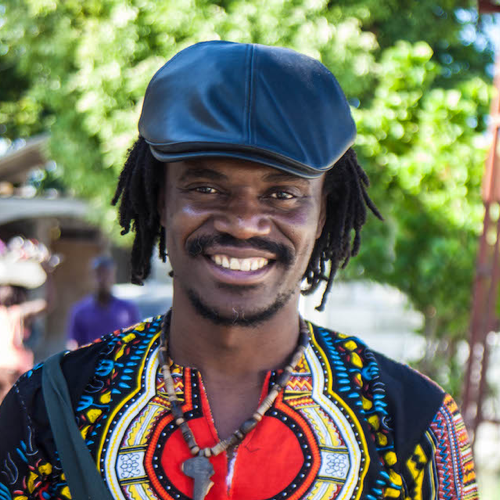 Pierre Supreme Elius started his own school... and Watering Minds is helping keep his children healthy with clean water. Working for DloHaiti, Pierre Jean Remy is paid a good salary that is always on time, and he sees the change the water makes in his community. The philosophy behind Watering Minds is exactly that: supporting local entrepreneurs and institutions to deliver a valuable service more economically while supporting the local economy. So far this school year, we have added 25 schools in India and 8 schools in Cambodia to the 150 schools in Haiti receiving safe water daily.